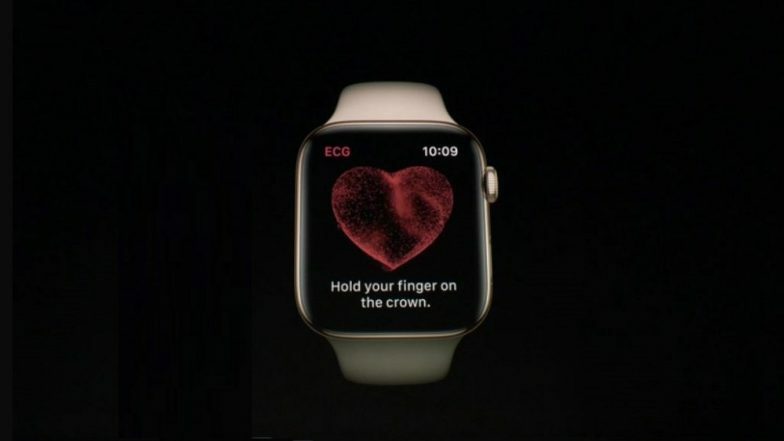 San Francisco, March 17: Apple Watch can detect and notify users when they experience irregular heart rhythms, finds a study demonstrating the ability of wearable technology to detect atrial fibrillation. Atrial fibrillation, a deadly and often undiagnosed condition, can lead to strokes. The condition often remains hidden because many people do not experience symptoms. The findings showed only 0.5 per cent participants received irregular pulse notifications, an important finding given the concerns about potential over-notification. Apple Watch Series 4 Now Getting ECG Feature With WatchOS 5.1.2 Update. "Atrial fibrillation is just the beginning, as this study opens the door to further research into wearable technologies and how they might be used to prevent disease before it strikes -- a key goal of precision health," Minor said.